ERTH offers its retailer billing solution across 12 states within the US as well as in the province of Ontario, Canada. 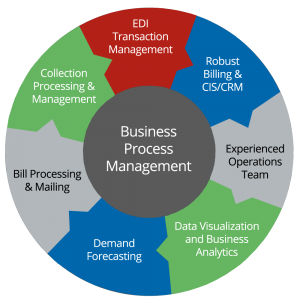 Our solution includes EDI Transaction Management services for US customers and EBT HUB services for Ontario customers. By choosing ERTH’s Managed Retailer Billing Services, rather than licensing, customizing, implementing and operating a billing system of your own, retailers can avoid the substantial investment in back office systems and staff needed to comply with the various market standards. Our solution also includes a suite of online applications that securely provide full visibility into all market transactions. For more in-depth information on the above services, click here. Our feature-rich system accurately calculates even the most complex products, and our service will ensure that your bills reach the utilities on time. Learn more about our retailer billing methods here. ERTH’s retailer billing service includes an extensive list of operational and financial reports to help you better understand your business. Since every retailer’s business is different, ERTH can easily customize reports to fit your specific reporting requirements. Learn more about our Demand Forecasting system here.